A young woman was assaulted on Thursday in broad daylight as she walked her dog in Girvan, and police are now appealing for witnesses. 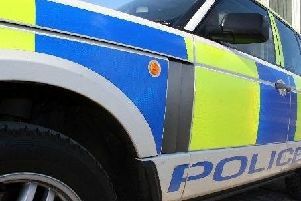 The 23 year-old was walking her dog in Queens Drive near to the town’s Victory Park at around 12.10pm on Thursday, May 21 when she was approached by the man who then carried out a totally unprovoked assault on the woman, who police have not named. During the incident the woman managed to get away from her attacker and then ran back towards the Victory Park area. The man is described as white, in his late 40s, 5ft 10in tall, with a medium build and completely bald. He was also wearing a light ‘baby blue’ T-shirt and washed out blue jeans. Detective constable Billy Campbell from Ayr CID said: “This was a very frightening experience for the young lady and thankfully she wasn’t seriously hurt. “There would have been other dog walkers and people in the surrounding area at the time and I would appeal to anyone that recognises the man’s description or saw anything suspicious to get in touch immediately. “Anyone with information can contact police via the non-emergency number 101. In relation to the incident, there has been some speculation on social media in the town that the assault could be connected to an alleged incident, also in Girvan, where individuals travelling in a van attempted to steal a puppy from someone walking on the street. It is also alleged that a similar incident happened in Ayr a few years ago with the allegedly stolen dogs being used for fighting, but there is no confirmation the incidents are linked.